Late Era SP PA’s – More details and revised list posted! The updated model list with specific road numbers and reference photo locations has been posted above on the SP ALCO PA tab. One detail we will be including on the late version models has never been produced on commercially available models before. 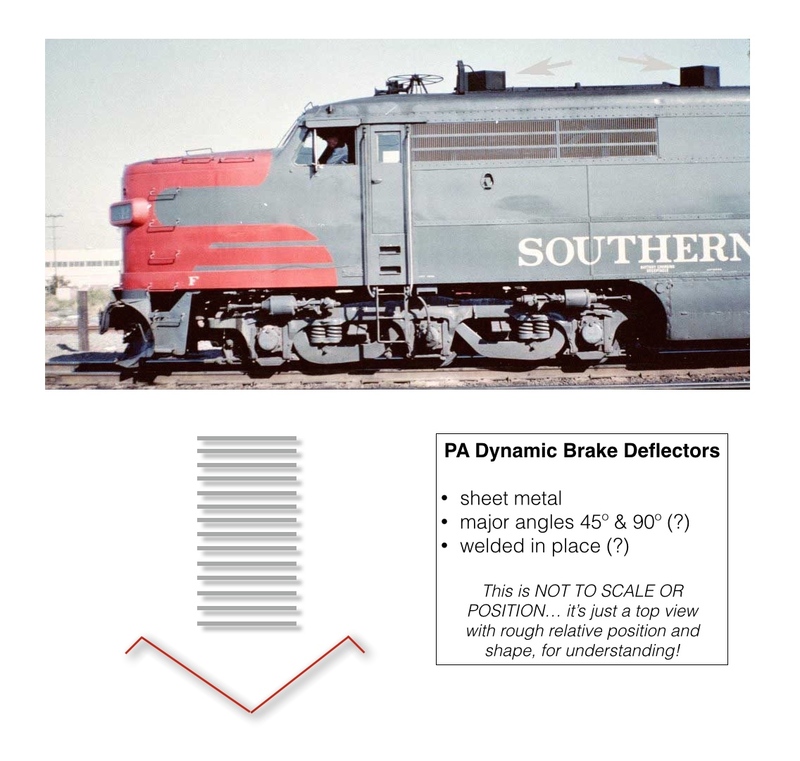 In the 60’s many of the surviving PA’s received a deflector on the roof on each end of the dynamic brake opening. With the help of SP PA sage Bob Zenk we present a view of these difficult to see and yet a critical pieces of PA’s in this era. Models 5406 -1, -2, -3, -4 and 5414 -1, -2, -3, -4 will include these details. Many thanks to Bob for the details and the photos. We will also being doing PA1 and PA2 versions in Daylight paint close to but not quite as delivered form. 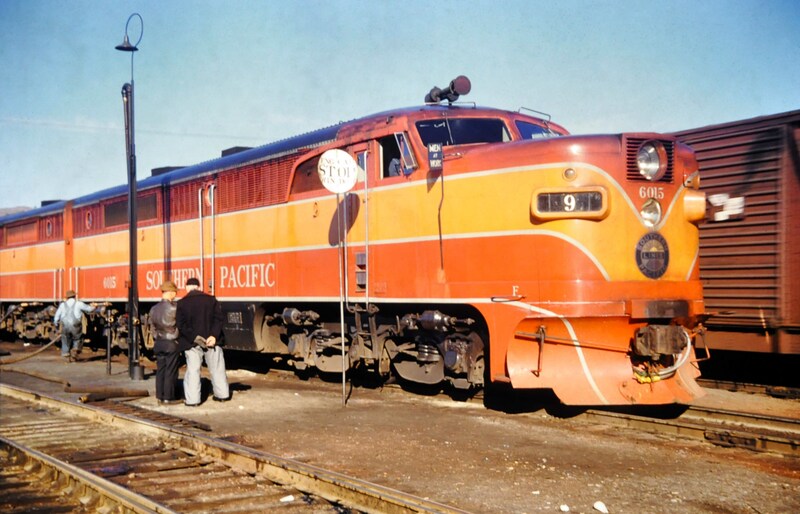 Here is a photo of PA2 6015 Klamath Falls in January 1951 – Unknown Photographer, Scott Inman collection. Our original versions will be very close to this with the as delivered drip rails and grills. They will include plow pilot like the photo but will have two additional details added a bit later their life including a five chime horn and wagon wheel antenna. We are happy to announce a new project, SP ALCO PAs. We know there are many PA fans out there and we count ourselves among them. 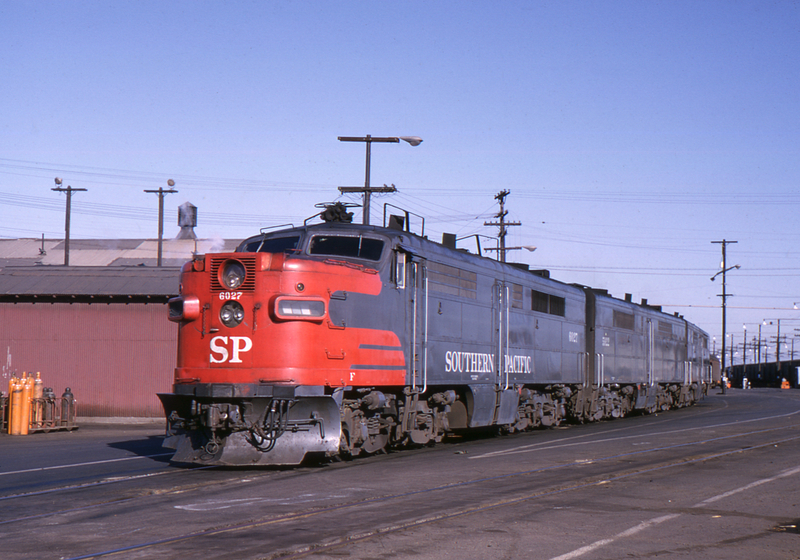 Key and Overland have both done a couple runs of various SP PA models over the years. All are very hard to come by especially in red and grey with all the late life accessories and modifications. We are doing nine SP versions with multiple road numbers of each version. Each will come fully factory finished with lighting and DCC / Sound ready. We will only build to preorder quantities so please get your order in asap. The list of versions is above. We will add some photos as soon as we have permission to use them.